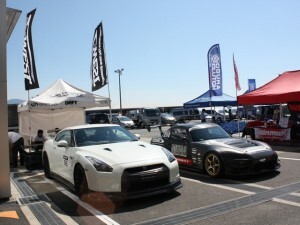 At C－WEST booth we displayed S2000 and R35（GTC demonstration car） which with C-WEST aero. 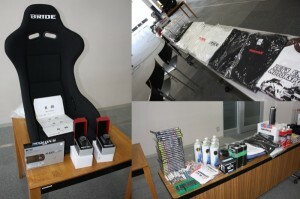 This time there were many applications, the total was more than 100 people. The capacity wasn’t enough all of these people. If you are the person who couldn’t join this even, please apply earlier next time. After this Soukou kai, we had game. 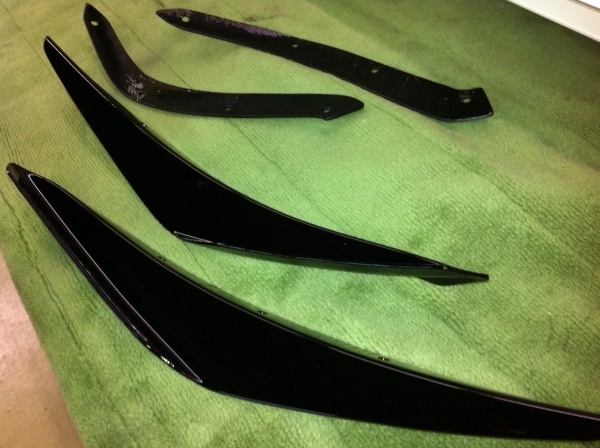 We had many broads such as tire, bucket seat, aluminum wheel, brake pad, multi monitor. Quite gorgeous isn’t it!? Very Hot!! Another booth we had special outlet sale, so if you want to join, you just bring small money. 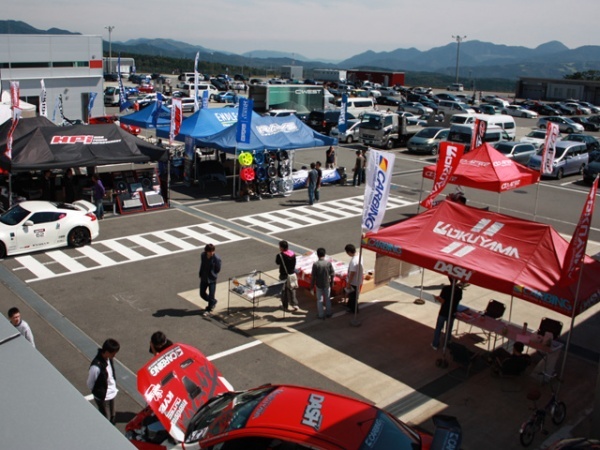 This day we have Soukoukai, and at paddock many company are selling their products. This is not that big sale, but you might get special products as special price. It’s good to check this event. We are going to sell bumper which is not fit to bring it back to your house on the day. Don’t worry we are going to send for you! Do you see this is aliens? Vartan?? Animated character??? 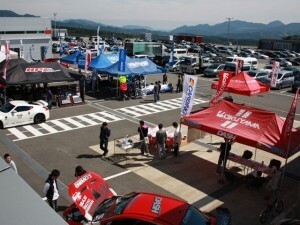 This Sunday I have been to Fuji Speed Way again. 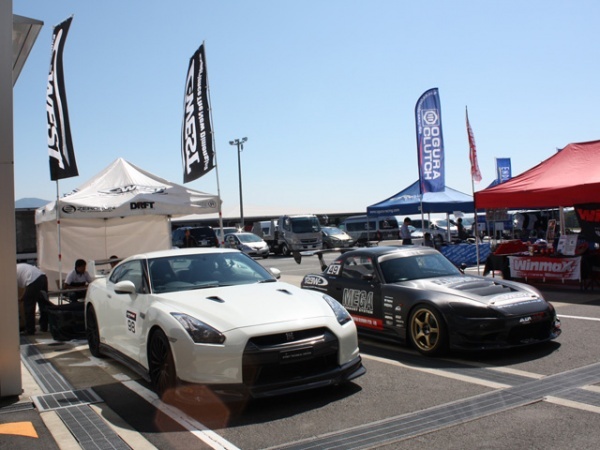 「R’s MEETING」 will be held on 18th Sept at Fuji Speedway. 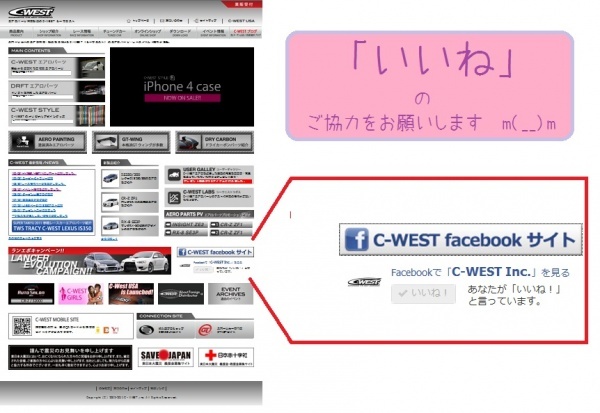 C-WEST is going to put aero kit to 35GTR. This one was prepared for GTNET event. Mr. S@ Saitama we are painting canard. It’s on the final stage. Some people already know this.